Playing Gates Of Eternity in it's entirety! From California, only Canadian show of 2018! 2 Day Passes Available Now! 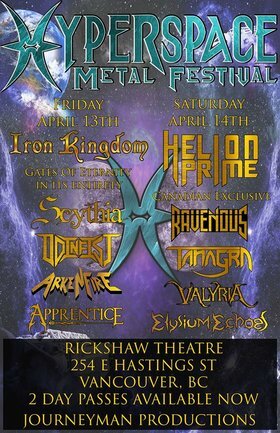 Hyperspace Metal Festival is a 2 day event focused on power metal and the melodic side of metal. 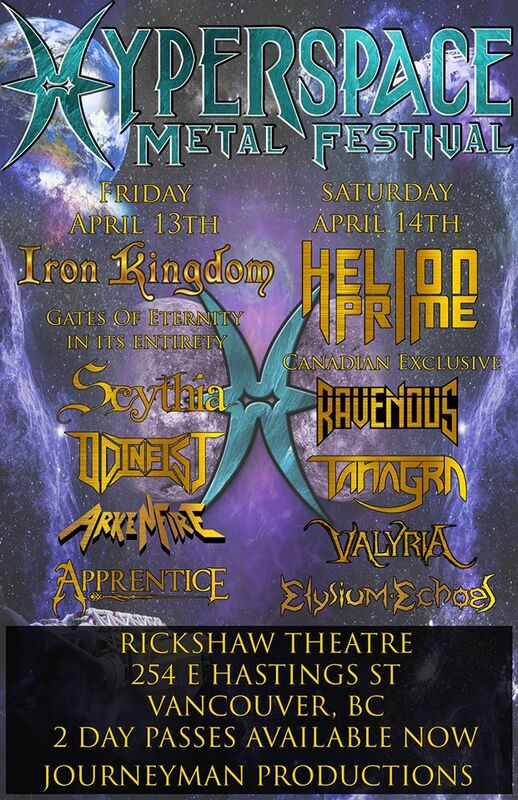 The aim is to bring together fans of the genre from all around this corner of the world and showcase all of the incredible bands playing the style in one event at Vancouver's esteemed Rickshaw Theatre.